Hi Everyone, it has been a while since the last time I updated on my blog. I didn’t go to that many new places in the past months hence resulted in no post. But here it comes, Takumi and Yabase in Dusseldorf. Just based on the names, I guess you know I won’t be talking about the typical German food. 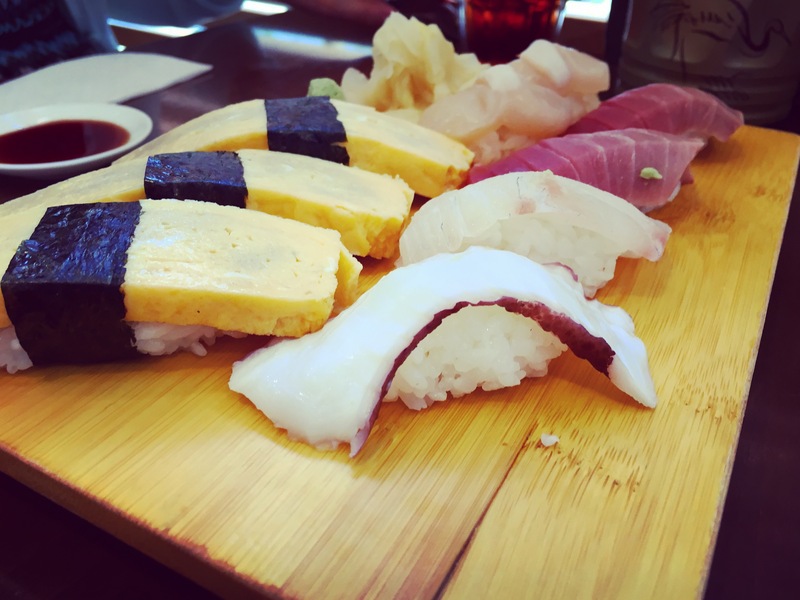 Yes, this post is a follow-up on the Japanese food in Dusseldorf which I shared with you last year. 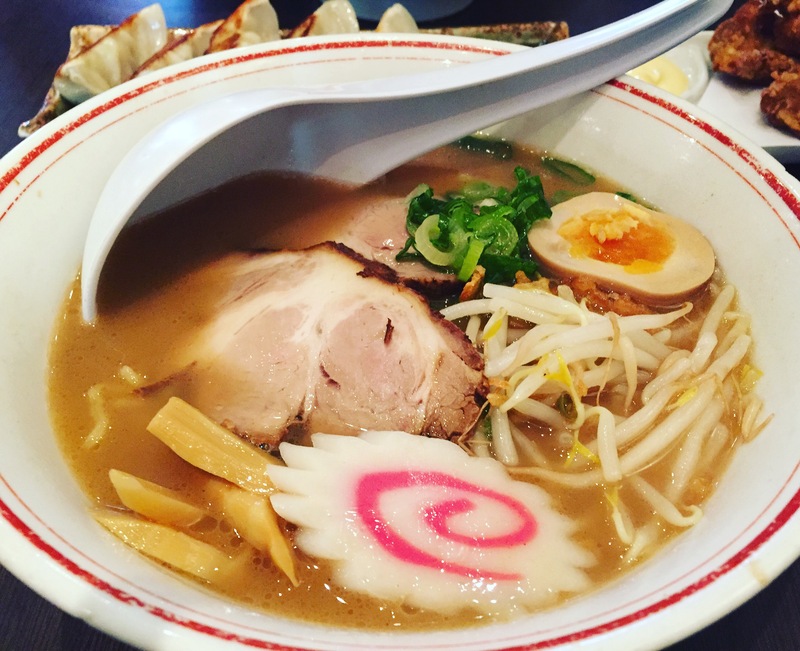 We went to Dusseldorf again because we were craving for some good Ramen and Sushi! Actually this is not the first time we visited Takumi, the first time was during the Christmas market weekend last year. 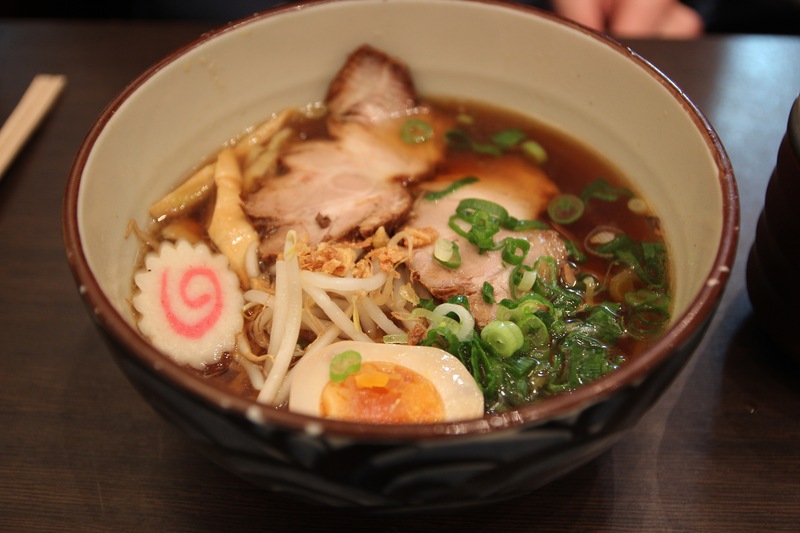 The average price of a bowl of ramen is about 9 Euro, so it’s really not that much. They open at 12.00 for lunch. We were there at 11.50 on a Sunday, and there was a big line already. So once again, if you want to avoid long waiting time, be there early! We ordered the traditional Tokyo Shuyu Ramen. Bram couldn’t stop talking about how delicious it was from the last time, so we both ordered the same. They are awesome, really! The broth is quite salty, but combines with the noodles it tastes great! They are very fast with the service. This is the first time for us to visit Yabase in Dusseldorf. We made a reservation upfront as we knew it’s going to be packed at dinner time. The restaurant opens its door at 18.00 for dinner, it was almost full when we arrived at 18.10. This is not an “All you can eat” sushi place, so it will not come down to 25 Euro per person and you are stuffed like crazy. 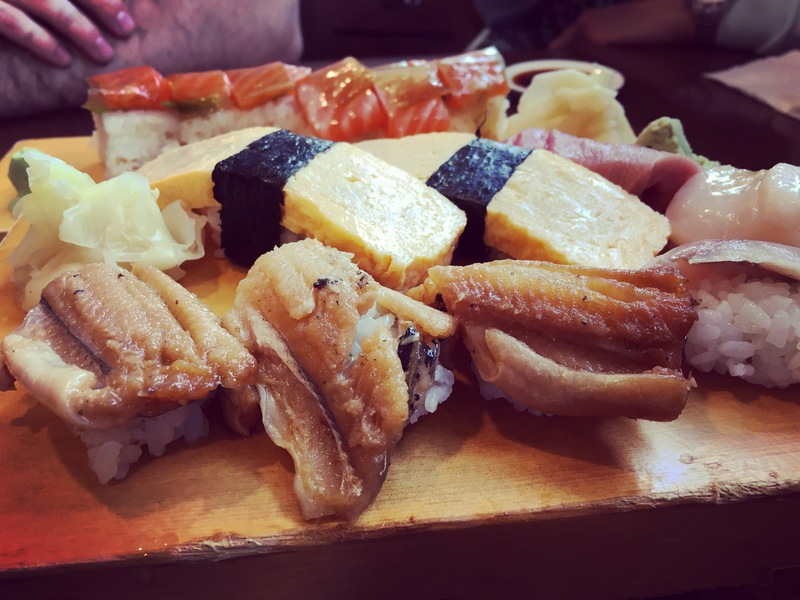 The idea is to enjoy the authentic Japanese food. 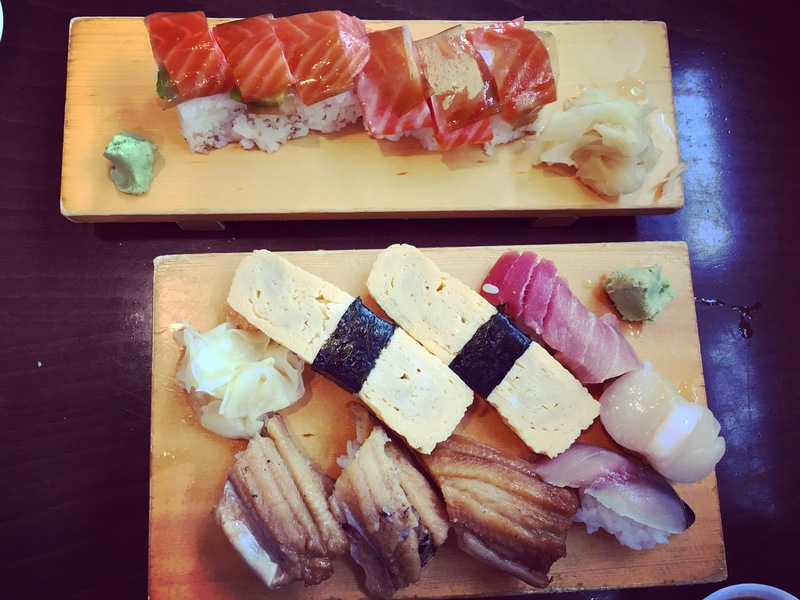 We went there with 4, so we ordered couple of rounds with different sushi and side dishes. Everything was really delicious! 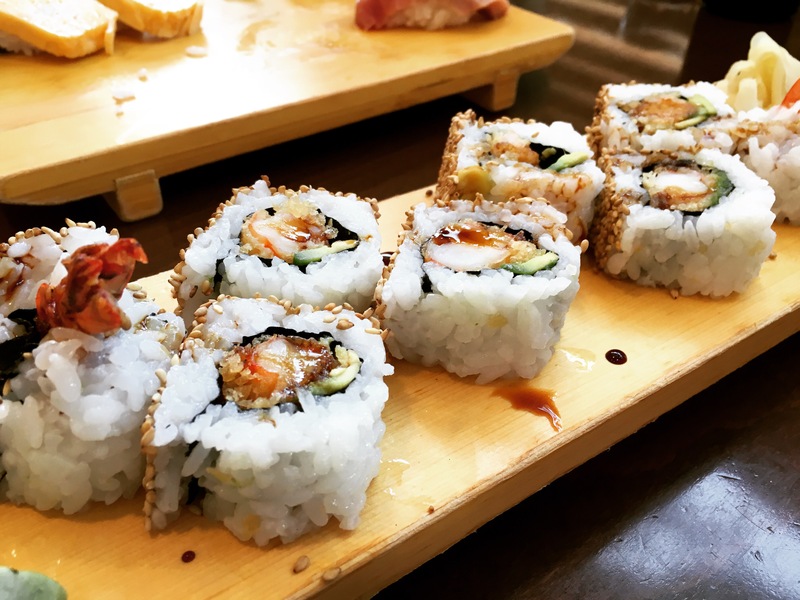 What I like about Yabase is that when they serve the sushi, the rice is still a bit warm, in this way, you can still taste the rice very well, combines with the fresh ingredients on the top, absolutely perfect! In the end we paid about 40 Euro per person for a very good dinner. I think it’s totally worth it. Hope you enjoy this post and until next time! 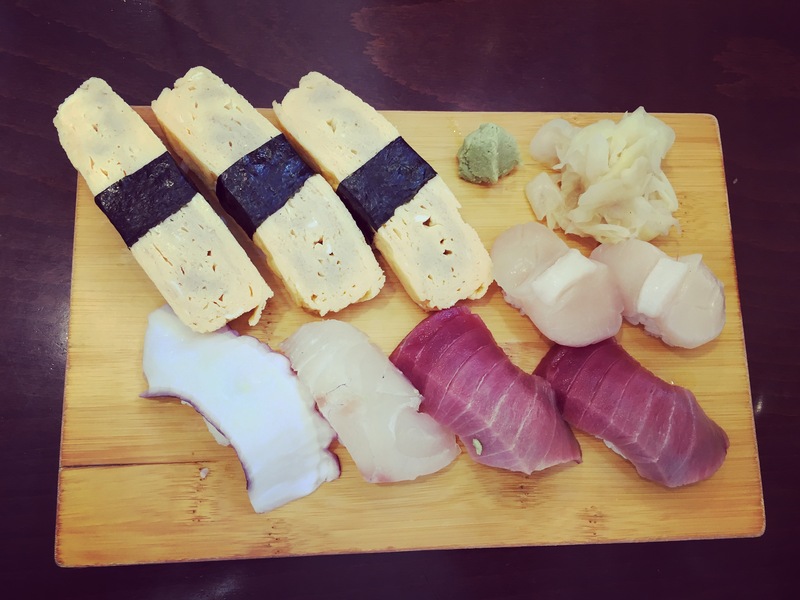 The sushi at Yabase is absolutely awesome as well as the side dishes. I would however not recommend to take the tempura side. It’s not bad but a bit pricy for what you get.